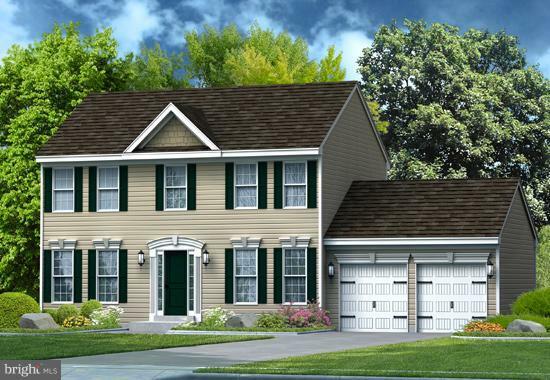 Gemcraft Homes' Bristol II stands proud with its Colonial architecture and modernized floor plan. This 4 bedroom, 2~ baths home has many standard features including: a two-car garage, a large rear family room, combination breakfast room/kitchen, separate formal living and dining rooms, and a spacious master bedroom with a walk-in closet. Sales Center: 27 Bonnie Marie Ct. Elkton. OPEN Mon. 2-5 T-W & Sat. & Sun. 12-5 OR BY APPT. ANYTIME. Picture is similar house with options not in base price.